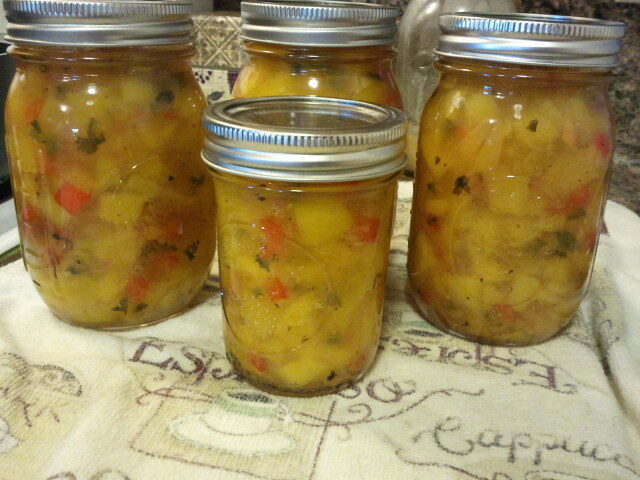 6 cups slightly ripened Mangos diced to 1/4"
Prepare canner, jars, and lids, following manufacturers instructions. To make pickling liquid place vinegar, water, sugar, lime juice, salt and whole peppercorns into a saucepan. Bring to a boil, reduce heat to medium and continue boiling until reduced by 1/4. You need at least two cups of the brine after reduction. Remove from heat and strain into heat proof container. 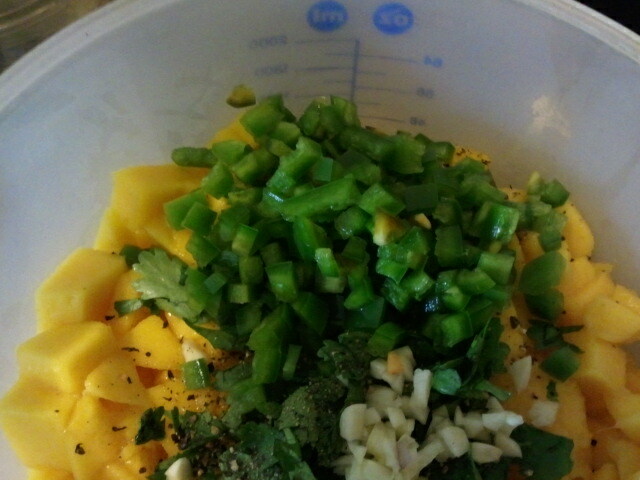 Cut up and prepare other ingredients during reduction. 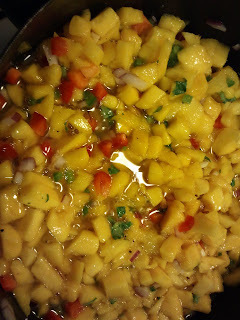 Combine 2 cups of the liquid and the remaining ingredients into a large saucepan. 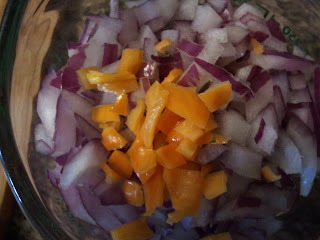 Bring to a rolling boil and continue boiling until onions are soft. Remove from heat. 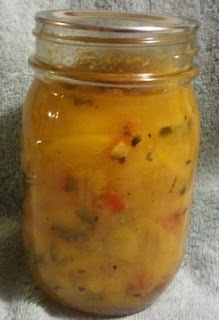 Ladle salsa into hot sterilized jars. Use 3 pint jars or 6 - 1/2 pint jars. Remove air bubbles using a plastic knife or other plastic utensil. (Never use metal.) Wipe rims of jars. Close jar following canning instructions. Process in hot water bath for 15 minutes. Remove jars and cool undisturbed for 24 hours. Check for proper seal. If jars didn't seal you can either reprocess or store in fridge. After lids are sealed remove metal rings for storage. Do not stack jars. 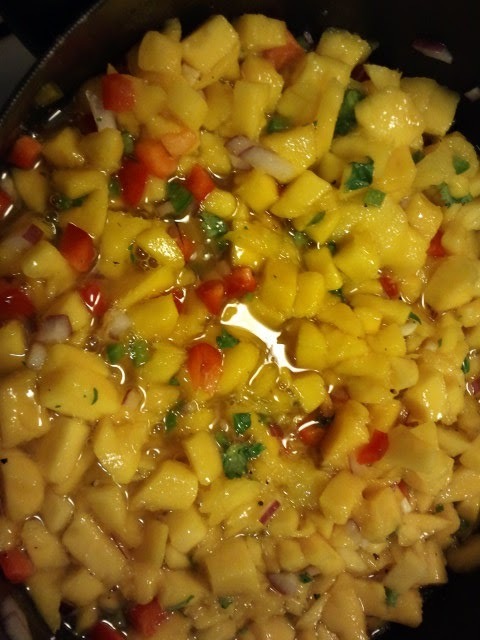 My taste testers think this salsa is YUMMY.